At Peak Tours we provide fully supported cycling holidays in the UK and Europe and self led cycling holidays in the Peak District. 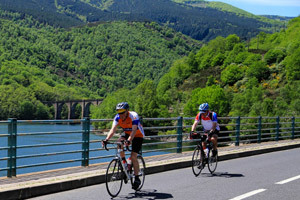 All of our Guided Cycling Holidays include accommodation, breakfasts, lunches, route notes and tour information, certificate and full tour support which includes at least one experienced guide who will act as bike mechanic, tour guide and will provide luggage transfers, brew stops and help to organise evening meals etc. Generally most tours have three guides with two back up vans and a guide who cycles with the group. Most groups are made up of singles and couples or twins (two friends together). The minimum number is eight and the maximum 25. With the Self Led Cycling Holidays we provide detailed route notes, maps, accommodation, luggage transfers, tour information pack plus bikes and all necessary equipment. You aren’t part of a group so can go at your own pace and you choose exactly which date you would like to travel. 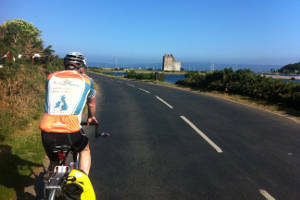 With the Guided Cycling Holidays, starting with our shorter tours, we have the traditional Coast to Coast route from Workington to Tynemouth which goes from the Irish sea to the North sea from one side of England to the other. There are many “sea to sea” routes available and we also provide the stunning Way of the Roses tour from Morecambe to Bridlington through the Yorkshire Dales as well as the Hadrians Cycleway tour taking in the best of the Solway Coast and Cumbria. All three routes have their own charms and level of difficulty and traverse the Pennines or Northumberland which passes through some cracking scenery. New for 2018 were the introduction of two hugely popular 7 day tours. 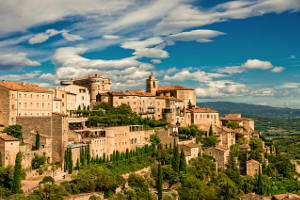 The Classic Cols tour and A Week in Provence. 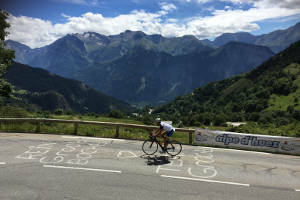 The Classic Cols tour takes in some of the most spectacular climbs that the French Alps have to offer. The Telegraphe, Madeleine, Galibier and Alpe d’Huez to name but a few. The mileages short and the climbs and descents long, this is equally a spectacular introduction into alpine riding or a chance for seasoned climbers to have a full supported play on the slopes of some of the most (in)famous climbs in the cycling world. A Week in Provence is designed to take in many of Provence’s highlights whilst also allowing time for relaxation and exploration if desired. We stay in each location for two nights, with a loop ride planned on the second day which you can always opt out of if you choose to relax in the sunshine or explore instead! Mt Ventoux looms large on the agenda for the final day and anyone who wishes to attempt the climb will be fully supported as always by our guides and the magic brew van. If you want a bit of a longer challenge then our Mizen Head to Malin Head cycling holiday takes you from the most southerly point in Ireland at Mizen Head to the most northerly point in Ireland at Malin Head travelling along the stunning west coast of Ireland from south to north in ten days of rugged, magical touring along the best cycle routes this amazingly friendly country has to offer. 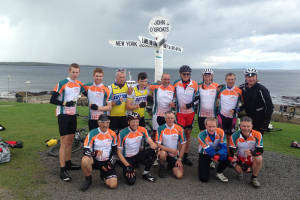 Our iconic Land’s End to John O’Groats or LEJOG tour can be taken over 14 days which is a challenge in itself but for those who would like a tougher challenge we also offer a 10 day Land’s End to John O’Groats tour which is not for the faint-hearted. This classic tour is one we are extremely proud of and our fantastic route through the best of the British countryside and our customer testimonials speak for themselves. 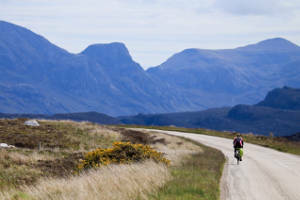 Our epic Dover to Durness cycling holiday provides a refreshingly different perspective to the UK than on our LEJOG tour as you cycle from the south east of England to the north west of Scotland in some of the UK’s most dramatic scenery. 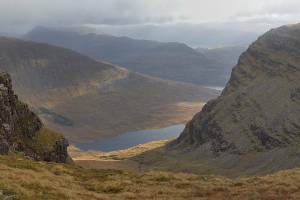 The Dover to Durness tour is similar in length to the LEJOG tour but a bit harder as there are more hills along the way. The reward for the extra effort on this adventure is simply some of the best cycling in the whole country, as we explore The Kentish Downs, Cambridgeshire, Rutland, The Peak District, The Yorkshire Dales, Dumfrieshire, the Scottish islands of Arran, Mull and Skye and on up the west coast of Scotland to a beautiful last few days in cycling heaven. The Channel to the Med tour is our ridiculously popular French end to end cycling holiday which takes you through some of that country’s most stunning scenery along quiet country lanes and through picturesque towns and villages. From bucolic ancient villages, around the lazy Loire, through volcanic landscapes, old Roman settlements, “The Giant of Provence” Mt Ventoux, and the breathtaking Gorge de Verdon. The Channel to the Med tour is stunning to say the least and, although a different kind of cycling on less steep roads than some we use in Britain, it is similar to our LEJOG tour in terms of difficulty. We also offer this tour in a 10 Day version for those looking to increase the physical challenge that little bit further! Munich to Rome is our latest addition to the 2 week tour family and we love it! The first few days of winding through the Tyrolean mountains take us into Austria and then Switzerland before crossing into Italy and heading south taking in yet more stunning scenery, fantastic food and beautiful architecture. We then work our way slowly further south, crossing the length of Lake Garda on a ferry and heading towards our rest day in Siena, one of the most ancient and beautiful cities in the world. We continue on to finish the ride in Rome, surrounded by breathtaking buildings, fantastic food and more cultural heritage than you could shake a large Roman stick at. If you want something a bit more relaxing then we have our Germany & Austria Cycling Holiday or Moselle to Mozart tour. Germany is very underrated but makes a superb destination for cycling with miles of traffic free cyclepaths, stunning architecture and amazing scenery. The tour starts on the west side of southern Germany and finishes on the east side of Austria in Vienna passing through the UNESCO world heritage site of the “Wachau”, the wonderfully well preserved buildings of Bernkastel-Kues and the impressive, imposing, monastery at Melk to name but a few.